The iPhone 4 received generally positive reception, with critics praising its revamped design and more powerful hardware in comparison to previous models. While it was a market success, with over 600,000 pre-orders within 24 hours, the release of the iPhone 4 was plagued by highly publicized reports that abnormalities in its new antenna design caused the device to lose its cellular signal if held in a certain way. Most human contact with the phone's outer edge would cause a significant decrease in signal strength. The iPhone 4 spent the longest time as Apple's flagship iPhone model at fifteen months. Although the succeeding 4S was announced in October 2011, the 4 continued to be sold as a midrange model until September 2012, and thereafter as the entry-level offering in Apple's lineup until September 2013 with the announcement of the iPhone 5S/iPhone 5C. The iPhone 4 had the longest lifespan of any iPhone ever produced, spanning close to four years and available in some developing countries until early 2015. Before the official unveiling of the iPhone 4 on June 7, 2010, two prototypes were brought to the attention of the media, breaching Apple's normally secretive development process. Many of the speculations regarding technical specifications proved accurate. 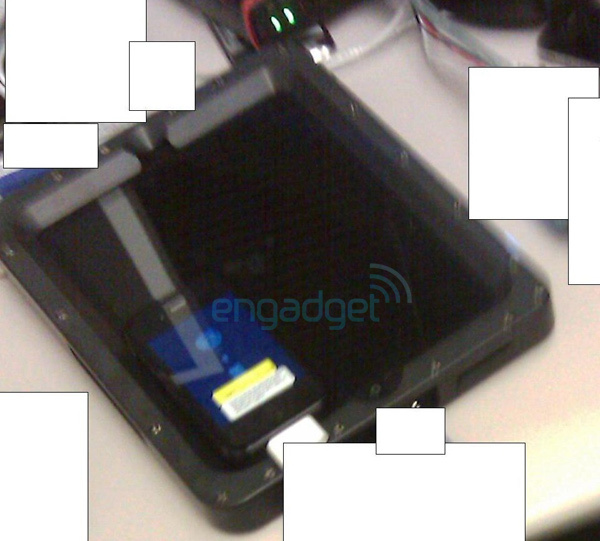 On January 27, 2010, gadget website Engadget received leaked images of the unreleased iPad. Unbeknownst to the editors and readers these images contained two of the unreleased iPhone 4s. It wasn't until the subsequent Gizmodo release were they aware of the complete contents of the images. On April 19, 2010, gadget website Gizmodo reported that they had purchased an iPhone prototype for $5000, and furthermore, had conducted a product teardown of the device. The prototype is reported to have been lost by an Apple employee, Gray Powell, in Redwood City, California. Shortly after Gizmodo published detailed information about the prototype, Apple's legal associates formally requested for the phone to be returned to Apple, and Gizmodo responded with the intent to cooperate. On April 23, officers from the Rapid Enforcement Allied Computer Team (REACT) task force of the California HTTAP Program raided the home of Jason Chen, the Gizmodo editor responsible for reviewing the prototype, seizing all of his computers and hard drives. The Electronic Frontier Foundation criticized the raid as violating journalist source protection laws that forbid the seizure of journalist computers as well as the suspicion that Apple had used its influence as a member of the steering committee which is charged with direction and oversight of the California REACT task force to push police into action in a way that would not normally be conducted for this type of incident. Apple had already received the iPhone prototype before the raid when it was returned by Gizmodo. The District Attorney has stated that the investigation has been suspended, and discontinued searching through the Gizmodo editor's belongings as they determine whether the shield laws are applicable, and cautioned that no charges have been issued at this point. Pictures and video of a second prototype were published on a Vietnamese website, Taoviet, on May 12, 2010. It was almost identical to the first, and used an A4 chip manufactured by Apple. The website purchased the prototype for $4,000. DigiTimes reported that the screen resolution of the new phone was 960-by-640, which was confirmed by Apple at the iPhone 4's official announcement. The iPhone 4 was available for pre-order on June 15, 2010. Customers attempting to pre-order the iPhone 4 reported problems with the pre-order process on the US and UK online Apple Stores which crashed due to the surge in traffic. The same issue was reported with AT&T and SoftBank, Apple's exclusive partners in the United States and Japan respectively, who suspended advance sales of the iPhone 4 as demand threatened to exceed supply. Retail stores were also unable to complete pre-order transactions due to the servers crashing. Apple and its partner carriers received 600,000 pre-orders for the iPhone 4 in the first 24 hours, the largest number of pre-orders Apple had received in a single day for any device up to that point. Engadget reported that at 20:30 UTC, all iPhone 4 pre-order suppliers had sold out. 1.7 million iPhone 4s were sold in its first three days of availability. The iPhone 4 has also been released through Orange in Tunisia and was available in eight cities at the launch. On July 30, 2010, iPhone 4 was made available for sale in Australia, New Zealand and 15 other countries with free bumper cases. In South Korea, it was released by KT on September 10. In Israel, it was released, too, on September 24, through Cellcom, Pelephone and Orange. It was launched in Thailand on September 23 by AIS, DTAC and True Move, and in Malaysia on September 26 in Kuala Lumpur, and nationwide on September 27 according to the website of Maxis. The iPhone 4 was released in South Africa on September 22 on the Vodacom and MTN networks, in very limited quantities. The iPhone 4 was launched in Vietnam on September 30 on VinaPhone and Viettel, at first in 3 major cities: Hanoi, Ho Chi Minh city and Da Nang, and then all over the country by the end of October. The iPhone 4 was launched in India on May 27, 2011 by Aircel and Airtel. On January 11, 2011, Verizon Wireless announced during a media event that it had reached an agreement with Apple and would begin selling a CDMA iPhone 4 in the United States, ending Apple's exclusivity agreement with AT&T. The Verizon iPhone went on sale on February 10 and pre orders began on February 3. The Verizon iPhone includes the 'Personal Hotspot" feature which allows a user to use the iPhone as a wireless hotspot, with up to five devices connecting at one time. The February 3, 2011, presale of the iPhone 4 broke Verizon's first day sales records for a single device. On June 24, 2010, Apple issued a statement that the white iPhone 4 models were proving more "challenging to manufacture" than expected, and initially pushed the release date back to the second half of July. There was a lot of speculation surrounding the delay of the white iPhone 4. Among the most popular rumors are those concerning the phone's internal camera being adversely affected by light leaking in due to the semi-translucent glass and the white paint. Other sources report that the problem relates to Apple's inability to match the white color of the front face plate with that of the home button. [not in citation given] On April 27, 2011, Apple announced that it would be releasing the white iPhone 4 model on April 28, 2011, for both GSM and CDMA. The release of the white iPhone 4 was carried out on April 28. During Apple's official unveiling of the iPhone 4S on October 4, 2011, it was announced that Sprint would begin carrying the reconfigured CDMA iPhone 4 and the iPhone 4S in the US on October 14. In September 2013, after the release of the iPhone 5S and iPhone 5C, Apple stopped selling the iPhone 4 in most of their stores as well as on their website. It was replaced by the 8 GB iPhone 4S. The display of the iPhone 4 is manufactured by LG under an exclusive contract with Apple. It features an LED backlit TFT LCD capacitive touchscreen with a pixel density of 326 pixels per inch (ppi) on a 3.5 in (8.9 cm) (diagonally measured), 960×640 display. Each pixel is 78 micrometers in width. The display has a contrast ratio of 800:1. The screen is marketed by Apple as the "Retina display", based on the assertion that a display of approximately 300 ppi at a distance of 305 millimetres (12 in) from one's eye, or 57 arcseconds per pixel is the maximum amount of detail that the human retina can perceive. With the iPhone expected to be used at a distance of about 12 inches from the eyes, a higher resolution would allegedly have no effect on the image's apparent quality as the maximum potential of the human eye has already been met. This claim has been disputed. Raymond Soneira, president of DisplayMate Technologies, said in an interview with Wired magazine, that the claims by Jobs are something of an exaggeration: "It is reasonably close to being a perfect display, but Steve pushed it a little too far". Soneira stated that the resolution of the human retina is higher than claimed by Apple, working out to 477 ppi at 12 inches (305 mm) from the eyes, or 36 arcseconds per pixel. However, Phil Plait, author of Bad Astronomy, whose career includes a collaboration with NASA regarding the camera on the Hubble Space Telescope, responded to the criticism by stating that "if you have [better than 20/20] eyesight, then at one foot away the iPhone 4's pixels are resolved. The picture will look pixellated. If you have average eyesight, the picture will look just fine". The iPhone 4 is the first iPhone model to have two cameras. The LED flash for the rear-facing camera (top) and the forward-facing camera (bottom, left of speaker) are not present in older models. The iPhone 4 features an additional front-facing VGA camera, and a backside-illuminated 5 megapixel rear-facing camera with a 3.85 mm f/2.8 lens and an LED flash. The rear-facing camera is capable of recording HD video in 720p at 30 frames per second. Both cameras make use of the tap to focus feature, part of iOS 4, for photo and video recording. The rear-facing camera has a 5× digital zoom. In contrast to Steve Jobs' announcement at WWDC 2010, recent Federal Communications Commission documentation has shown that the iPhone 4 contains a penta-band 3G UMTS antenna, not a quad-band 3G UMTS radio, as advertised by Apple. According to the FCC documentation filed by Apple, the radio inside the iPhone 4 supports 800, 850, 900, 1,900, and 2,100 MHz. The 800 MHz frequency, which is most commonly used in Japanese mobile phones, is not advertised as being supported by Apple. However, the 800 MHz band is a subset of the 850 MHz band, which probably explains why the device is advertised as quad-band. The chip-sets were manufactured by Skyworks Solutions and Infineon for GSM version. As with most of Apple's mobile products at the time, the iPhone 4 also used the 30 pin dock connector as its only external data port. The iPhone 4 is the first generation of iPhone to have a second microphone used for noise cancellation. It is located on the top of the unit near the headphone jack; the main microphone is on the bottom left. The iPhone 4 introduces a gyroscopic sensor that detects 3-axis angular acceleration around the X, Y and Z axes, enabling precise calculation of yaw, pitch, and roll. The gyroscope complements the accelerometer, a sensor that has been present since the original iPhone, which detects the device's acceleration, shake, vibration shock, or fall by detecting linear acceleration along one of three axes (X, Y and Z). The combined data from the accelerometer and the gyroscope provides detailed and precise information about the device's 6-axis movement in space. The 3 axes of the gyroscope combined with the 3 axes of the accelerometer enable the device to recognize approximately how far, fast, and in which direction it has moved in space. The iPhone 4 is powered by the Apple A4 chip, which was designed by Intrinsity and, like all prior iPhone models, manufactured by Samsung. This system-on-a-chip is composed of an ARM Cortex-A8 CPU integrated with a PowerVR SGX535 GPU. The Apple A4 is also used in the iPad where it is clocked at its rated speed of 1 GHz. The clock speed in the iPhone 4 has not been disclosed. All prior models of the iPhone have underclocked the CPU, which typically extends battery life and lowers heat dissipation. The iPhone 4 has 512 MB of DRAM. The additional DRAM supports increased performance and multi-tasking. An iPhone 4 A1332 with a micro-SIM card removed with a paper clip, showing its SIM card compartment. The iPhone 4 uses a micro-SIM card on iPhone 4 devices running on a GSM network, which is positioned in an ejectable tray, located on the right side of the device. On a CDMA network, however, the phone connects to the network using an ESN. All prior models have used regular mini-SIM cards. Depending on the operator, micro-SIM cards may not be available for all networks globally. As a technical workaround it is possible to trim a mini-SIM card with a knife or scissors so that it fits into the micro-SIM tray. As on prior models, all data is stored in flash memory, 8, 16 or 32 GB, and not on the SIM. Unlike prior generations, the storage capacity is not printed on the back of the unit. 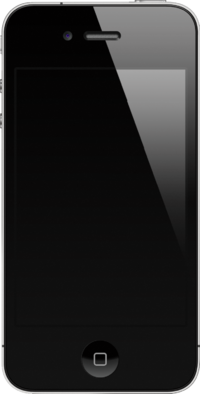 The iPhone 4 is constructed of glass faces and a metal rim. The iPhone 4 features a redesigned structure, designed by Jony Ive, a design that would later be reused and adapted for the iPhone 4S, 5, 5S and SE. Most notably, the bulges of the back panel as well as the band between the front and back are gone and have been replaced with flattened surfaces. The redesign reflects the utilitarianism and uniformity of existing Apple products, such as the iPad and the iMac. The overall dimensions of the iPhone 4 have been reduced from its predecessor. It is 115 millimetres (4.5 in) high, 58.6 millimetres (2.31 in) wide, and 9.4 millimetres (0.37 in) deep, compared to the iPhone 3GS, which is 116 millimetres (4.6 in) high, 62 millimetres (2.4 in) wide, and 12 millimetres (0.47 in) deep; making the iPhone 4 24% thinner than its predecessor, the iPhone 3GS. Steve Jobs claimed it to be "the thinnest smartphone on the planet." The reduced size of the device is primarily due to the externally placed antenna. The iPhone 4 is structured around a stainless steel frame that wraps around the edge of the phone, acting both as the primary structure for the device and as the iPhone 4's antennas. This metal band features two slits on the GSM version of the phone, one at the lower left, and one at the top (and a fake slit along the lower right, to cosmetically mirror the one at the lower left) that divide the band into two antenna sections: the left section of the band serves as the Bluetooth, Wi-Fi, and GPS antenna, and the right and lower sections of the band act as the antenna for GSM and UMTS connectivity. On the CDMA version of the phone there are four slits in the metal band. Two at the top (on the left and right) and two at the bottom. This divides the metal band into four different segments, which like the GSM version of the phone, serves as different antennas for connectivity. The top portion of the band (divided by the top left and right slits) is for connecting to the CDMA network. The left portion of the metal band is for Bluetooth, Wi-Fi, and GPS just like the GSM version. The right side is not an antenna, but serves to cosmetically mirror the left side and also to create a similar look to the GSM version of the phone. The internal components are situated between two panels of aluminosilicate glass, described by Apple as being "chemically strengthened to be 20 times stiffer and 30 times harder than plastic," theoretically allowing it to be more scratch resistant and durable than the prior models. In fall 2010, pentalobe screws started to replace the Philips screws used in post-repair units in the US and in production units in Japan. The iPhone 4 shipped with iOS 4, which was the newest version of Apple's iOS mobile operating system at the time. iOS 4 introduced a multitasking system, allowing apps to remain "suspended" in memory, perform certain operations in the background, and allowing users to switch between apps using an on-screen menu. It also introduced FaceTime, which allows users to perform video calls between other iPhone, iPad, iPod Touch, and OS X users. The iPhone 4 supports up to iOS 7, released in September 2013. Due to the relatively aged hardware of the iPhone 4, certain features available on newer iPhone models are not available on the device; as of iOS 7, they include Siri, 3D maps and turn-by-turn navigation, AirDrop, AirPlay mirroring, live camera filters, panorama mode and certain visual effects introduced by iOS 7, such as the blurring of translucent interface elements, the parallax effect on the home screen, and live wallpapers. While still subject to the same limitations, iOS 7.1 did bring some slight performance improvements to the operating system on the iPhone 4. iOS 7, specifically iOS 7.1.2, is the last version of iOS to support the iPhone 4. Unlike the iPhone 4S, the iPhone 4 did not receive the iOS 8 update due to performance issues. An iPhone 4 next to a Bumper. An iPhone 4 Bumper is a ring of rubber and plastic that surrounds the edge of the iPhone 4, with the purpose of protecting the phone. The inner part is rubber with the external band made of plastic. The Bumper wraps around the edges of the device protecting the edges, and to a lesser extent, the screen. The Bumper does not cover the front or rear of the phone, though it does slightly raise the iPhone off whatever surface it is sitting on. Additionally, the plastic band houses metallic buttons for the volume controls and sleep/wake button. The six holes in the Bumper enable access to the mute switch, dock connector, headphone jack, speaker, and microphones. Apple updated the bumper with a wider volume switch hole with the release of iPhone 4 for CDMA network. The updated bumper is also compatible with iPhone 4S, the next generation iPhone that has the identical exterior design and measurements as iPhone 4 CDMA. Pre-release reception was generally positive. The announcement included information that had not been covered by Gizmodo. Fox News commented that "seeing it in action is far more informative than staring at Gizmodo's photos of a busted test unit". Rhodri Marsden of The Independent said that "aside from the introduction of face-to-face video calling, it's not a staggering feature set," instead focusing on how the device is "more powerful than its predecessor, speedier, easier to use and will make previously laborious tasks seem like a cinch". CNET reacted to the announcement by explaining how it believes that iMovie for iOS was the "most exciting part of this year's WWDC Keynote". The article noted how the iPhone 4, unlike current cameras, can record HD content and then edit it from the same device, labeling it a "true mobile editing suite". Reviews of the iPhone 4 have been generally favorable. Walt Mossberg of The Wall Street Journal called the device "the best device in its class". Engadget named it the "best smartphone on the market" in June 2010. CNET gave the iPhone 4 a rating of 8.6 out of 10, one of the highest ratings it has given any smartphone. TechRadar gave the device 4.5/5 stars. Consumer Reports said the signal problem was the reason they did not rate it a "recommended" model, although the other tests ranked it highest among smart phones. Joshua Topolsky of Engadget described the device's industrial design as being "more detailed and sophisticated" than its predecessor. Some users reported a yellow discoloration of the screen that disappeared after several days, which was attributed to the glass lamination glue that was used. It did not have time to dry fully before the unit reached consumers due to the speed of manufacturing. Another issue reported by some users within days of the iPhone 4 release was that during calls the proximity sensor can be insensitive, so that facial contact with the touchscreen can end calls, mute calls, and dial other numbers. Some users reported that, particularly in low-light conditions, photos taken on the iPhone 4 sometimes contained blue or green "splotches." Issues with white balance were also discovered, particularly when using the flash. Shortly after the iPhone 4 was launched, some consumers reported that signal strength of the phone was reduced when touching the lower left edge of the phone, bridging one of the two locations which separates the two antennas, resulting in dropped calls in some areas with lower signal reception. In response, Apple issued a statement advising that customers should "avoid gripping [the phone] in the lower left corner" when making or receiving a call. As a consequence of this problem, it was reported on July 2, 2010 that several iPhone 4 users were planning on suing Apple and AT&T for fraud by concealment, negligence, intentional misrepresentation and defective design. The legal challenge was started by a law firm, who set up a website to recruit disenchanted iPhone 4 buyers for a lawsuit against Apple. Later that day, Apple issued another statement stating that it had discovered the cause of the "dramatic drop in bars". Apple explained how the formula it used to calculate the number of bars to display was "wrong". Apple promised to correct the issue and release a software update within a few weeks that would address the "mistake", which had been present since the original iPhone. The New York Times commented that "the failure to detect this longstanding problem earlier is astonishing." Consumer Reports initially stated that the iPhone 4's signal issues are not "unique, and may not be serious" and it continued to mention that signal loss is a problem that is faced by the entire smartphone industry. It has been such a problem that Apple made a formal apology. The next day, the magazine altered their stance after encountering instances of dropped calls. The magazine rejected Apple's explanation after conducting tests in a controlled environment, and comparing the results against prior generations of iPhone. It sarcastically pointed out that using a piece of tape to cover the lower left antenna gap was one way to fix the problem, but recommended that consumers who "want an iPhone that works well without a masking-tape fix" purchase the iPhone 3GS instead. The magazine also tested the iPhone 4 while it was wearing a Bumper, a frame-like cover sold by Apple that prevents direct contact with the antenna, reporting that it did resolve the problem. CNN repeated Consumer Reports' statement that a small amount of duct tape had proven an effective fix to the iPhone 4's dropped call issue. On July 16, 2010, at a press conference, Steve Jobs announced that Apple would provide all iPhone 4 owners with a free case to help solve the antenna issue and a refund to those users who had already purchased a Bumper. The free case offer would be valid until September 30, 2010, when Apple would re-evaluate the situation. To get a free case, owners were able to apply via an app installed on the phone found in the App Store from July 22, 2010 to September 30, 2010. Jobs also announced that Apple could not produce enough Bumpers for all owners of the phone, but would source a supply and offer a range of cases. Additionally, Jobs cited figures from AppleCare which showed that only 0.55 percent of all iPhone 4 users have complained to the company about the issue, while the number of phones returned to Apple was 1.7 percent – 4.3 percentage points less than the number of iPhone 3GS models that were returned in the first month of the phone's launch. Consumer Reports noted that the solution was not permanent, though a good first step. However, because Jobs did not specify a time line for fixing the problem, and the offering for a free bumper only being a temporary solution, PC World decided to remove the iPhone 4 from its "Top 10 Cell Phones" chart and reassign it to a pending rating. Despite the negative media attention regarding the antenna issues, 72% of iPhone 4 users say that they are "very satisfied" with their iPhone 4 according to an August 2010 survey by ChangeWave Research. The iPhone 4 model continued to be sold unchanged up until September 2013. In 2011, two iPhone 4 units equipped with a special application were taken to the International Space Station aboard the Space Shuttle on the STS-135 mission. The devices were used in various experiments, utilizing sensors and a special app. ^ The initial release date of June 24, 2010 applies only to the United States, the United Kingdom, France, Germany, and Japan. ^ SIM-free iPhone 4s are only available directly from Apple in United States, Canada, France, Germany and the United Kingdom as of the device's initial release. ^ The Advanced Performance Optimization on iOS, part 2 session. ^ 6 percent of iPhone 3GS models were returned within the first month of the phone being on sale. ^ Chen, Yenting (January 13, 2011). "CDMA iPhone to contribute strong sales to Foxconn and Pegatron in 2011". DigiTimes. Retrieved January 14, 2011. ^ a b "iPhone 4 Teardown". iFixit. p. 2. Retrieved June 23, 2010. ^ Lane, Slash (June 17, 2010). "Apple reveals iPhone 4 has 512MB RAM, doubling iPad". AppleInsider. Retrieved June 17, 2010. ^ "iPhone 4 Teardown". iFixit. June 23, 2010. p. 1. Retrieved July 18, 2010. ^ Topolsky, Joshua (June 7, 2010). "Steve Jobs live from WWDC 2010". Engadget. Retrieved June 18, 2010. ^ a b Diaz, Jesus (June 7, 2010). "iPhone 4: The Definitive Guide". Gizmodo. Retrieved June 19, 2010. ^ Patel, Nilay (January 27, 2010). "Is this the Apple tablet?". Engadget. Engadget. Retrieved March 20, 2016. ^ Patel, Nilay (January 27, 2010). "iPhone-iTablet Size Comparison". Engadget. Engadget. Retrieved March 20, 2016. ^ Topolsky, Joshua (April 18, 2010). "iPhone 4G: proof". Engadget. Engadget. Retrieved March 20, 2016. ^ Golijan, Rosa (April 23, 2010). "The Tale of Apple's Next iPhone". Gizmodo. Gawker Media. Retrieved June 18, 2010. ^ Lam, Brian (April 19, 2010). "A Letter: Apple Wants Its Secret iPhone Back". Gizmodo. Gawker Media. Retrieved June 18, 2010. ^ Sandoval, Greg; McCullagh, Declan (April 26, 2010). "Police seize Gizmodo's computers in iPhone probe". Gizmodo. Gawker Media. Retrieved June 18, 2010. ^ Zimmerman, Matt (April 27, 2010). "OverREACTing: Dissecting the Gizmodo Warrant". Electronic Frontier Foundation. Retrieved June 18, 2010. ^ Chen, Brian; Kim Zetter (April 29, 2010). "iPhone Finder Regrets His 'Mistake'". Wired. Retrieved June 18, 2010. ^ Carr, David (May 2, 2010). "A Lost iPhone Shows Apple's Churlish Side". The New York Times. Retrieved June 18, 2010. ^ Wolverton, Troy (May 13, 2010). "Another next-generation iPhone surfaces, this one in Vietnam". Mercury News. Retrieved June 18, 2010. ^ Diaz, Jesus (May 12, 2010). "Another Lost iPhone 4 Shows New Details". Gizmodo. Gawker Media. Retrieved June 18, 2010. ^ Ricker, Thomas (May 12, 2010). "Next generation iPhone unscrewed from Vietnam". Engadget. Retrieved June 18, 2010. ^ "iPhone 4 available for pre-order". Macworld. Retrieved September 21, 2017. ^ Beaumont, Claudine (June 16, 2010). "Apple iPhone 4: Pre-orders break records despite technical issues". The Daily Telegraph. London. Retrieved July 18, 2010. ^ Patel, Nilay (June 16, 2010). "600,000 iPhone 4s pre-ordered, Apple apologizes for issues". Engadget. Retrieved July 18, 2010. ^ Murph, Darren (June 5, 2010). "iPhone 4 pre-orderers overwhelm servers, world on the brink of ending". Engadget. Retrieved July 18, 2010. ^ "Statement by Apple on iPhone 4 Pre-Orders" (Press release). Apple Inc. June 16, 2010. Retrieved June 23, 2010. ^ Ziegler, Chris (June 15, 2010). "AT&T sold out of iPhone 4 pre-orders for launch day". Engadget. Retrieved July 18, 2010. ^ "iPhone 4 Sales Top 1.7 million" (Press release). Apple Inc. June 28, 2010. Retrieved July 18, 2010. ^ "Outrouver iPhone". Orange Tunisia. ^ "iPhone 4 launches in NZ". NZ Herald. July 30, 2010. ^ "iPhone 4". Vodaphone NZ. ^ "iPhone 4 arrives in SA". Fin24. ^ "iPhone release". Viettel Telecom. ^ "Apple iPhone 4 To Be Launched on May 27 By Aircel, Airtel". PCWorld. IDG Media Private Ltd. May 25, 2011. Retrieved August 30, 2011. ^ Memmott, Mark (January 11, 2011). "It's Official: Verizon Has The iPhone 4: The Two-Way". NPR. Retrieved August 30, 2011. ^ "Verizon Wireless Has Record Sales On First Day Of iPhone 4" (Press release). Verizon Wireless. February 4, 2011. Retrieved February 4, 2011. ^ "White iPhone 4 delayed until spring". CNET. Retrieved August 30, 2011. ^ Cheng, Jacqui (April 27, 2011). "Finally: white iPhone 4 arrives April 28 on AT&T and Verizon". Ars Technica. Retrieved April 27, 2011. ^ "White iPhone 4 currently available for purchase". May 21, 2011. Retrieved May 21, 2011. ^ "iPhone 4, now available in white". September 16, 2011. Retrieved September 16, 2011. ^ "$199 iPhone 4S vs. $99 iPhone 4: What's the Better Deal?". LaptopMag. October 5, 2011. Retrieved October 5, 2011. ^ "Apple unveils the iPhone 4S at event at Cupertino". AustralianIT. October 5, 2011. Retrieved October 5, 2011. ^ "CNET's Apple Sept. 10 event live blog". CNet. CBS Interactive. September 10, 2013. Retrieved September 10, 2013. ^ Chris Welch. "Apple still selling three-year-old iPhone 4 in China". The Verge. Vox Media. Retrieved November 29, 2015. ^ "iPhone 4 - 购买一部无需合约、不限定 SIM 卡格式的 iPhone 4，还能享受免费、快捷的送货上门服务。 - Apple Store（中国）". apple.com. Archived from the original on October 29, 2013. Retrieved November 29, 2015. ^ Brandrick, Chris (June 8, 2010). "iPhone 4's Retina Display Explained". PC World. Retrieved June 18, 2010. ^ Hachman, Mark (June 9, 2010). "Analyst Challenges Apple's iPhone 4 'Retina Display' Claims". PC Magazine. Retrieved June 23, 2010. ^ Plait, Phil (June 10, 2010). "Resolving the iPhone resolution". Discover Magazine. Retrieved June 23, 2010. ^ Savov, Vlad (June 10, 2010). "iPhone 4's retina display claim put under the math microscope". Engadget. Retrieved June 23, 2010. ^ "Sizing up the iPhone 4 for shutterbugs". Ars Technica. ^ Slivka, Eric (June 8, 2010). "A Look at iPhone 4's Camera Quality". MacRumors. Retrieved June 20, 2010. ^ Savov, Vlad (June 7, 2010). "iPhone 4 hits FCC, becomes world's second announced pentaband 3G phone". Engadget. Archived from the original on December 24, 2010. Retrieved July 25, 2010. ^ "Teardown of the Apple iPhone 4 Smart Phone » Recent Teardowns". Chipworks. June 23, 2010. Retrieved August 30, 2011. ^ "iPhone 4 – Learn about phone and voicemail features". Apple. Retrieved August 30, 2011. ^ Dilger, Daniel Eran (June 16, 2010). "Inside iPhone 4: Gyro spins Apple ahead in gaming". AppleInsider. p. 2. Retrieved June 20, 2010. ^ Garnesh, T S. "Apple's Intrinsity Acquisition: Winners and Losers". AnandTech. Retrieved July 17, 2012. ^ "Apple's new iPhone 4". TechAutos. June 15, 2010. Retrieved June 18, 2010. ^ Vance, Ashlee (February 21, 2010). "For Chip Makers, the Next Battle Is in Smartphones with better technology". The New York Times. Retrieved June 19, 2010. ^ Kim, Arnold (June 17, 2010). "iPhone 4 Confirmed to Have 512MB of RAM (Twice the iPad and 3GS)". MacRumors. Retrieved June 19, 2010. ^ Sorrel, Charlie (May 6, 2010). "Trimming a sim to micro-sim size". Wired. Retrieved November 24, 2011. ^ a b Helf, Miguel; Wortham, Jenna (June 7, 2010). "On Newest iPhone, Another Camera". The New York Times. Retrieved July 18, 2010. ^ Madway, Gabriel (January 21, 2011). "Apple tightens the screw on iPhone 4". San Francisco, California. Reuters. Retrieved January 21, 2011. ^ Perenson, Melissa (June 8, 2010). "Multitasking on Apple's iPhone 4: How Does It Work?". PC World. Retrieved April 14, 2013. ^ "New lease on life or death sentence? iOS 7 on the iPhone 4". Ars Technica. Retrieved December 22, 2013. ^ "PSA: The iDevices and Macs that will support iOS 8 and OS X 10.10". Ars Technica. Retrieved June 3, 2014. ^ "iOS 7.1 on the iPhone 4: As good as it's going to get". Ars Technica. Retrieved June 3, 2014. ^ a b Hattersley, Mark (July 16, 2010). "Apple iPhone 4 Bumper review". PC Advisor. United Kingdom: IDG. Archived from the original on April 30, 2011. Retrieved April 30, 2011. ^ Bilton, Nick (June 23, 2010). "iPhone 4 Reviews: The Pundits Weigh In". The New York Times. Retrieved June 25, 2010. ^ McCracken, Harry (June 8, 2010). "Your iPhone 4 Questions Answered". Fox News. Retrieved July 13, 2010. ^ Marsden, Rhodri (June 8, 2010). "You might not like it, but Jobs has set the pace". The Independent. London. Retrieved July 13, 2010. ^ Aimonetti, Joe (June 8, 2010). "iMovie for iPhone 4 and the future of filmmaking". CNET. Retrieved July 13, 2010. ^ Mossberg, Walter (June 20, 2010). "New iPhone Keeps Apple Top of Class". The Wall Street Journal. Retrieved June 25, 2010. ^ a b Topolsky, Joshua (June 22, 2010). "iPhone 4 review". Engadget. Retrieved July 13, 2010. ^ "Apple iPhone 4 – 32GB – black (AT&T) Smartphone reviews". CNET. June 23, 2010. Retrieved June 25, 2010. ^ "Apple iPhone 4 review". TechRadar. June 25, 2010. Retrieved June 25, 2010. ^ a b "Lab tests: Why Consumer Reports can't recommend the iPhone 4". Consumer Reports. July 12, 2010. Retrieved July 12, 2010. ^ Hardawar, Devindra (June 23, 2010). "Apple iPhone 4 problems crop up: screen discoloration, reception issues". MobileBeat. Retrieved June 24, 2010. ^ "Users report issues with iPhone 4 proximity sensor during calls". AppleInsider. June 28, 2010. Retrieved July 7, 2010. ^ Grubb, Ben (August 23, 2010). 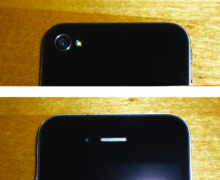 "iPhone 4 camera rendered 'useless' by mysterious fault". The Sydney Morning Herald. ^ "Some iPhone 4 cameras have yellowing problem". MacWorld. IDG. Retrieved December 20, 2013. ^ Chen, Jason (June 24, 2010). "iPhone 4 Loses Reception When Holding it By Antenna Band?". Gizmodo. Archived from the original on July 22, 2010. Retrieved June 24, 2010. ^ Singer, Melissa (July 31, 2010). "iPhone 4 fault fails to surface for Sydney fans". The Age. Australia. Retrieved July 31, 2010. ^ "Teste de Recepção do iPhone 4". Blog do iPhone. July 19, 2010. Retrieved August 9, 2010. ^ Cellan-Jones, Rory (June 25, 2010). "Apple issues advice to avoid iPhone flaw". BBC News Online. Retrieved June 25, 2010. ^ Hewage, Tim (July 2, 2010). "iPhone 4: Apple Is Sued After Complaints Of Reception Problems With The New Smartphone". Sky News. Retrieved July 4, 2010. ^ Madway, Gabriel; Grenon, Andre (July 1, 2010). "Consumers sue Apple over iPhone antenna problems". Yahoo! News. Archived from the original on July 5, 2010. Retrieved July 4, 2010. ^ a b "Statement by Apple on iPhone 4 reception issues" (Press release). Apple Inc. July 2, 2010. Retrieved July 2, 2010. ^ Helft, Miguel (July 2, 2010). "Apple Acknowledges Flaw in iPhone Signal Meter". The New York Times. Retrieved July 2, 2010. ^ "Consumer Reports Electronics Blog: iPhone 4's supposed signal woes aren't unique, and may not be serious". Blogs.consumerreports.org. July 2, 2010. Retrieved November 11, 2010. ^ "Apple's Bumper case alleviates the iPhone 4 signal-loss problem". Consumer Reports. July 13, 2010. Retrieved July 13, 2010. ^ "iPhone duct tape fix". CNN. July 13, 2010. Retrieved July 13, 2010. ^ Helft, Miguel (July 16, 2010). "Apple Offers Free Cases to Address iPhone Issue". New York Times. ^ Rothman, Wilson (July 17, 2010). "Apple gives free bumpers to all iPhone 4 owners". MSNBC. Retrieved July 17, 2010. ^ a b c "Apple offers free iPhone 4 cases". BBC News Online. July 16, 2010. Retrieved July 19, 2010. ^ D. Sutter, John (July 17, 2010). "Bumper and all, Consumer Reports still doesn't recommend iPhone 4". CNN. Retrieved July 17, 2010. ^ Mies, Ginny (July 17, 2010). "iPhone 4: Why We've Reconsidered Its Rating". PC World. Retrieved July 17, 2010. ^ "Survey: Most iPhone 4 Users 'Very Satisfied'". PCWorld. August 5, 2010. Retrieved November 11, 2010. ^ a b "Apple's iPhone 4 Hired as Tricorder for Space Station". PCWorld. June 13, 2011. Retrieved November 29, 2015. ^ "We will ship in 5 countries" (Press release). Apple Inc. June 7, 2010. ^ "iPhone 4 & iPhone 3GS – Apple Store (Deutschland)". Store.apple.com. Retrieved November 11, 2010. ^ Evans, Jonny (June 15, 2010). "Apple confirms SIM-free iPhones are truly unlocked". 9 to 5 Mac. Retrieved June 20, 2010.